Wide, sloping shoulder. Steep troncoconical neck. Angled handles, elliptical in section, attach at shoulder and mid-upper neck. 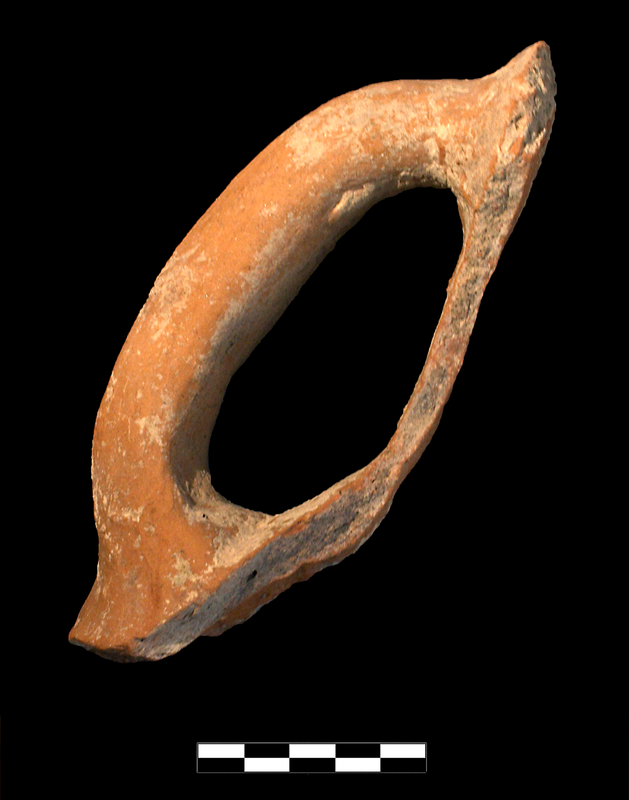 One large sherd preserves small part of shoulder and neck and one intact handle. Slight, sparse abrasion and chipping; slight worn breaks; scattered, small to moderate patches of encrustation.